The Mobile Order service is headed to Disneyland! 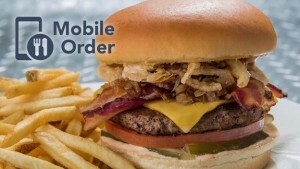 Mobile Order is part of the My Disney Experience app and it allows guests to pre-order and pre-pay for their food (and works with the Disney Dining Plan in Disney World). When guests arrive at the quick service location they go to the Mobile Order pick-up counter and pick up their food, avoiding any potentially long queues. Now this service is headed to Disneyland – and if you’re an Annual Passholder in Disneyland you’ll be able to apply your discount via the app. Locations for the Disneyland Mobile Order service haven’t been announced yet. To learn more about the Mobile Order service check out this page from our friends at the Disney Food Blog.